Studio A ‘Koala’ Tote designed by Emily Crockford featured as an ethical souvenir. Damian Showyin ‘Windows’ cushion featured in the 2019 Style Forecast. Studio A Collaboration with Corban & Blair featuring art by Damian Showyin. 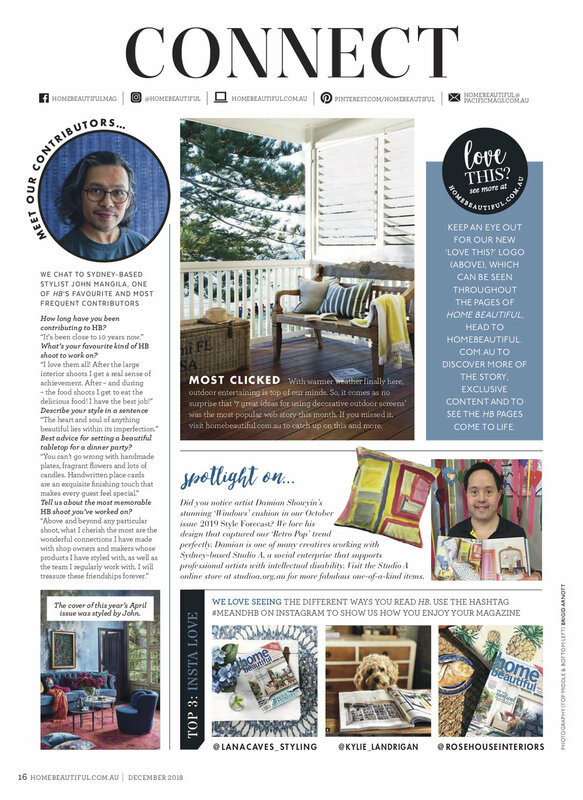 Damian Showyin holding the October 2018 issue of Home Beautiful which featured his ‘Windows’ cushion design. Studio A was one of three recipients of a Westpac Foundation Community Grant.